Fast Lane Fridays will run under a lightweight rule package to ensure equal competition and allow almost all vehicles and modifications to be eligible. The Bike Class is where it gets really interesting. 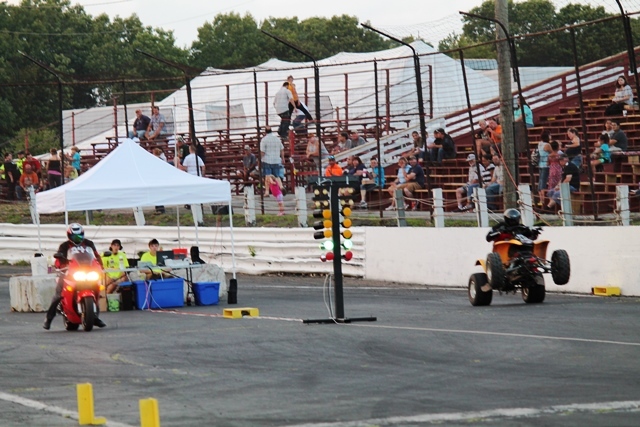 This is the broadest of all the classes whether they have two wheels or four, motorcycle or dirt bike, quad, lawn mower, or snowmobile, if you can race it this is the division for you. The Fast Lane Friday events will also have a point system and will award a champion in each class at year’s end. *No tri-wheel vehicles are allowed. Helmets, eye protection, hand protection, full leg pants and approved footwear is required for this class. Please read the full rule book for more information if you plan to race.